Bay State Wind is DONG Energy's first project in the U.S. As Bay State Wind, DONG Energy is proposing the construction and operation of a utility scale offshore windfarm in an area off the southern coast of Martha's Vineyard. The wind farm will have an installed capacity of up to 1,000MW, which has the capacity to power over 500,000 homes. I provided the graphic design and illustration for the fact sheet written and produced by McMahon Communications. 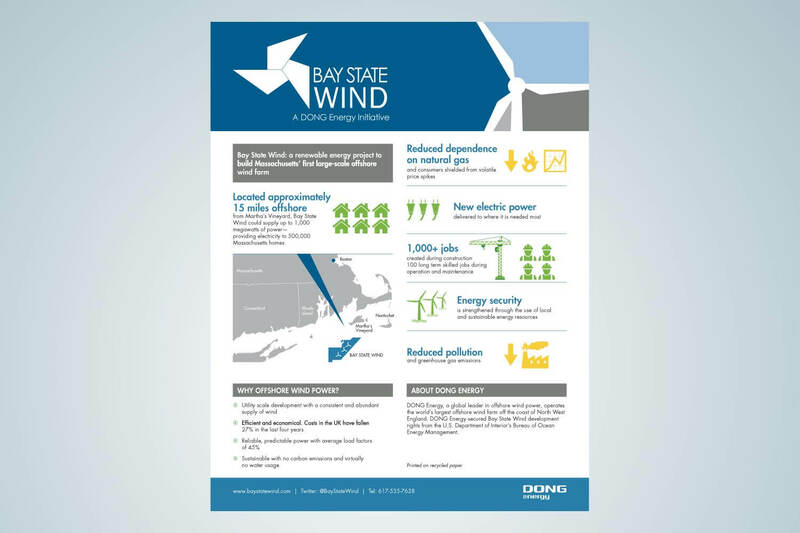 Download the Bay State Wind Fact Sheet PDF.